Text is a file format that contains plain text only. This file format can be opened in most operating systems. Therefore, it can sometimes be beneficial to convert your PDF file to the editable Text format. In this article, we'll show you how to convert PDF to Text on Mac (including macOS 10.14 Mojave) using a powerful and efficient PDF converter - PDFelement for Mac. 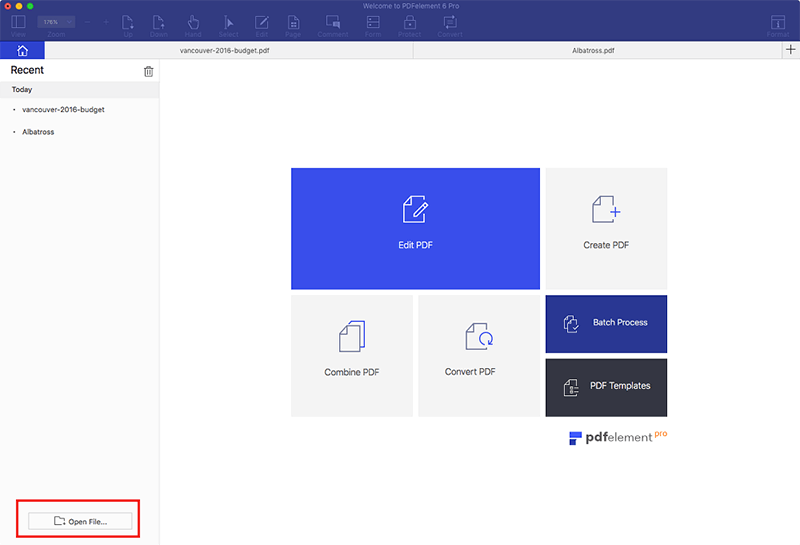 PDFelement for Mac is one of the best PDF converters that supports a number of output formats like TXT, PPT, RTF, HTML, EPUB, XLS, DOC, TIFF, GIF BMP, PNG, and JPEG. The best thing about this software is that you can convert PDF files in batches as well. It is a PDF editor that lets you change text, add text, edit pages, add images and add objects. 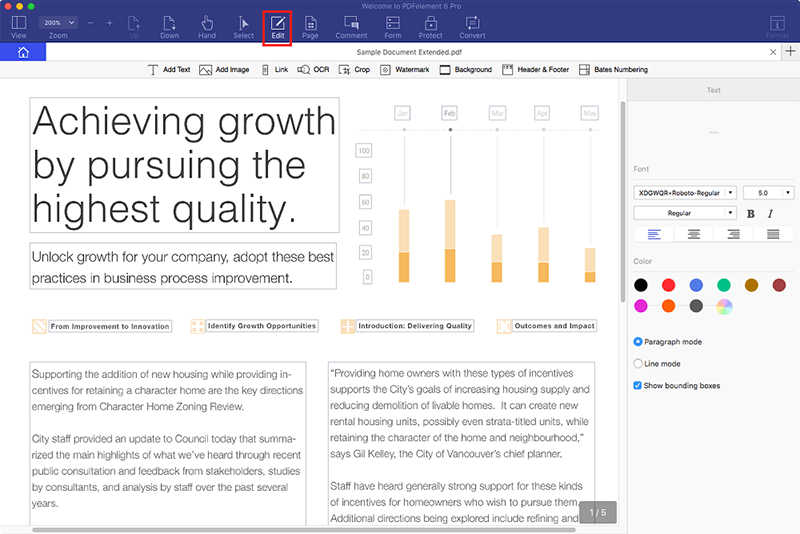 It allows you to add batch markups such as: annotate, add watermarks, highlights, sticky notes, text boxes, and more. It supports batch removal of watermarks. It is equipped with an accurate batch redaction tool. You can also use it to add digital signatures to your PDF. The licensed version is built with an OCR plug-in that enables you to edit, copy, and search through scanned PDF files. It supports Mac OS X 10.10, 10.11, 10.12, 10.13, and macOS 10.14 Mojave. To import your PDF file, open the program, click on the "Open File" button, and choose your file. From there, you can search for your file and click on the "Open" button. The uploaded PDF file will now be displayed in PDFelement. If you want to edit text and images, you can do so by clicking the "Edit" button. To edit text, click on the "Edit" button in the top toolbar, and then move to text field and double click on it to begin deleting, adding or changing text. 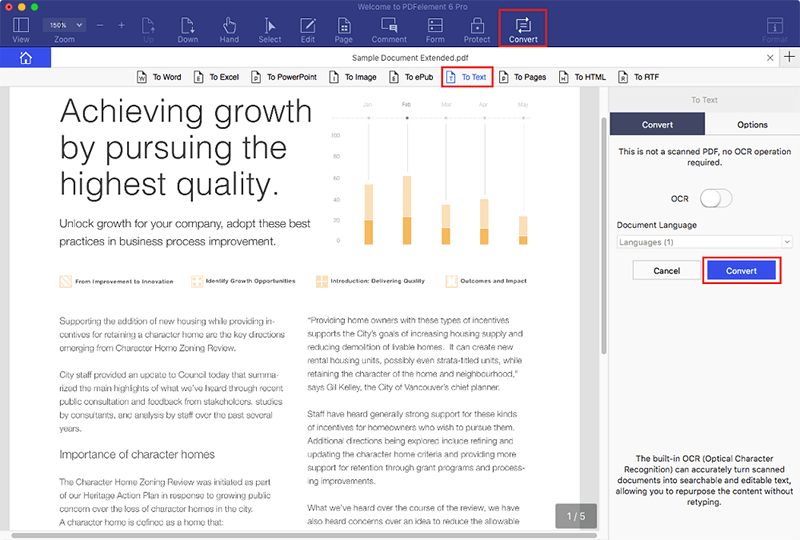 After editing your PDF file, you can now convert it. On the top toolbar, you will see the "Convert" button. Click on it and select "To Text" as the output format from the submenu. After that, click on the "Convert" button and you will be able to save your converted file. Digitize paperwork and accelerate the way you create, prepare, and sign documents. Available for Windows, Mac, iOS, and Android.